After a few hot weeks of summer, flowers planted in the spring are starting to look a little wilted. On The Saturday Early Show, garden designer P. Allen Smith shows an unusual idea for brightening up pots. When the sun sets on the garden, some plants drift silently to sleep. But for others, the dark of evening is when their blooms burst open to reveal incredible beauty and fragrance. Smith wants to let viewers know that night bloomers are a good option for patio gardens. A lot of gardeners don't think about using night bloomers but it makes sense for people that work all day to use plants that can be enjoyed in the evening. Smith specifically refers to plants like the Casa Blanca lily which stays open but is closely related to the Day Lily which closes. In other words, it's kind of an unusual member of its flower family and considered a night bloomer. Smith showcases a range of plants. Some are cheap and grown from seeds, others are a bit expensive. He suggests bringing these expensive tropical plants inside during the winter months. This is most fragrant at night. It's the flowering version of the tobacco plant. There are both big and small varieties of this plant; only the big ones smell because breeders have bred the smell right out of the little ones. This is a night bloomer that almost everyone knows. Gardenias are another flower that grows more fragrant at dusk. Related to the Day Lily, this flower stays open all night. They look very delicate and are often seen in florist's arrangements, but they are actually quite easy to grow in the garden. This flower only blooms at night. It's related to the Morning Glory. It's inexpensive and a great flower for kids to grow. The seeds are large, resembling white chocolate covered raisins, and they grow quickly. This is another fragrant tropical flower that should move inside during cold weather. Many night bloomers are tropical plants which means they need full sun and plenty of water. 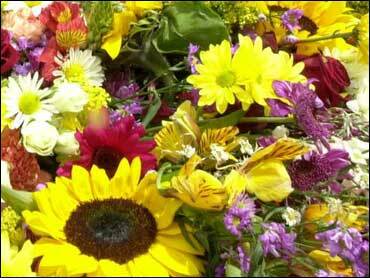 For more blooms, gardeners should use an organic fertilizer. To take care of insects, mites and fungus, Smith recommends a 3-in-1 spray that's non-toxic and basically odorless.